Dinosaurs A to Z make their way to the Museum of Nature & Science! 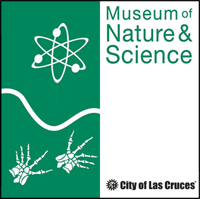 Every Friday afternoon at 3:00 pm, families can learn about dinosaurs and other prehistoric creatures that roamed the earth long ago. Each dinosaur discussion is accompanied by a hands-on craft related to the week’s dinosaur. This program is free to the public and registration is not required.